VisualCV tracks every visitor who views your resume. 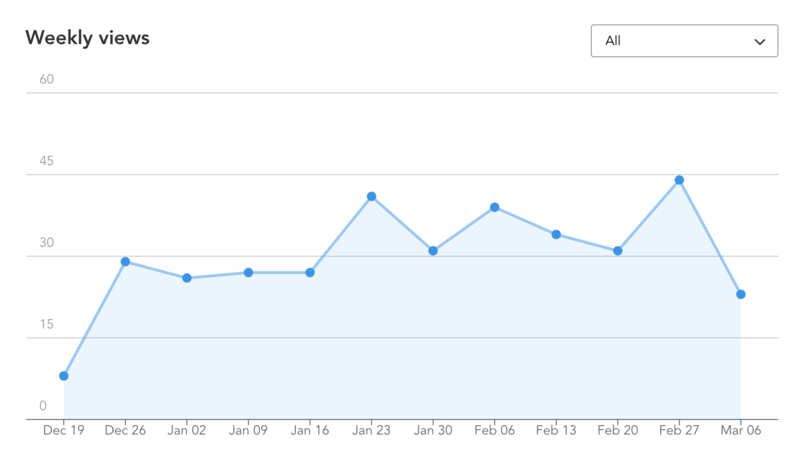 Visitor logs are viewable on your VisualCV stats page. Each resume is tracked separately. In the Recent Views section, the date, IP address, and approximate location of each view will be listed. Please note that if you are not logged in, your own views will be tracked. Make sure to compare the IP address of views to your own IP address, to make sure they aren't yours.